Nowadays, our increasing online presence has added a whole lot of information to our contact details. Almost everyone we know has a professional and/or a personal user profile with plenty of social connections involved. Back in the old days, registration forms would have just two simple fields for enlisting contact details – an address and a phone number. These days, people see benefits in integrating their social profile links to any registration form they fill up, whether it is Facebook, Twitter, LinkedIn, Instagram, YouTube or any other. This helps them connect their external social profiles to the registration forms on any website. The WordPress ProfileGrid plugin offers such features to users by virtue of which one can put multiple contact fields on user profiles. In this article, we will learn to display author info in WordPress. 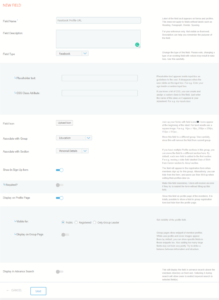 Once installed on WordPress, the plugin provides its own list of options to modify your site. ProfileGrid makes sure that one does not require any other plugins to develop a fully functioning user profile on WordPress. It has its own set of shortcodes which makes it much easy to create pages. 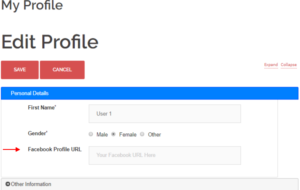 One can manage individual user profiles and customize them by adding function tabs with the help of Custom Tabs. Among many other features that ProfileGrid provides, its list of predefined fields is of utmost importance. Here we are going to utilize one such field to display author info in WordPress profile page. In order to get started, first select the ‘ProfileGrid’ option on the list of features provided under ProfileGrid. 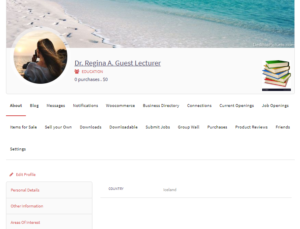 Users will land on the ‘Group Manager’ page that displays the number of groups and the user profiles enlisted under them. Here you can see that the ‘Group Manager’ page is showing four groups with multiple users within them. Now select any group, where you want to display author info in WordPress profile page. Click the ‘Fields’ options and select ‘New Field’ on the top left side. A window will appear with all the predefined fields which are just a click away to get added on user profiles. Here we are adding the Facebook field on our profiles so select that field. You will now find yourself on a page, similar to the above one. Here you will get several options – Field Name, Field Description, Field Type (in case you want to switch to another field), Placeholder Text (text that will appear on the blank space before entering data) etc. You can also choose in which ‘Section’ of the profile you want to put this field. From here you can also switch the Group where you want this field to appear. Lastly, there is option to choose the visibility of this field – whether it should appear only to registered users, to the public or to the group leader. One can also wish to make this field a ‘required one’ in that case users have to enter the data on this field to get registered. Finally, click the ‘Save’ button to see if your desired field has appeared on the frontend. On the frontend, we see nothing has appeared yet. A user has to enter his/her Facebook URL to display author info in WordPress. The ‘Edit Profile’ option will lead users to the page where they will get specific space to provide this input. So now we see, the Facebook URL field has appeared on the frontend. Any link that a user adds to this field will display on the profile page automatically. ProfileGrid has already proved its popularity among many users due to its simplicity and all-inclusive features. One need not be a coder or a website developer to create anything with this plugin. Any man who wishes to create a site can avail ProfileGrid for its convenience. You saw how easily we could display author info in WordPress. Similarly, if you want to sell products through your site or offer downloadable digital files, keep a track of the users and their activity then this plugin is your answer. It allows you to create groups, create individual user profiles, maintain a group wall etc. with the help of its own predefined features. How can I make user blog post show with my normal WordPress post on my site homepage? Blog post is custom post type. You may want to use the plugin which displays these type of posts.